Unleash the full potential of your data through perceptual, mapping, optimal scaling and dimension reduction techniques. See how to visualize and explore relationships in your data, and then predict outcomes based on your findings. 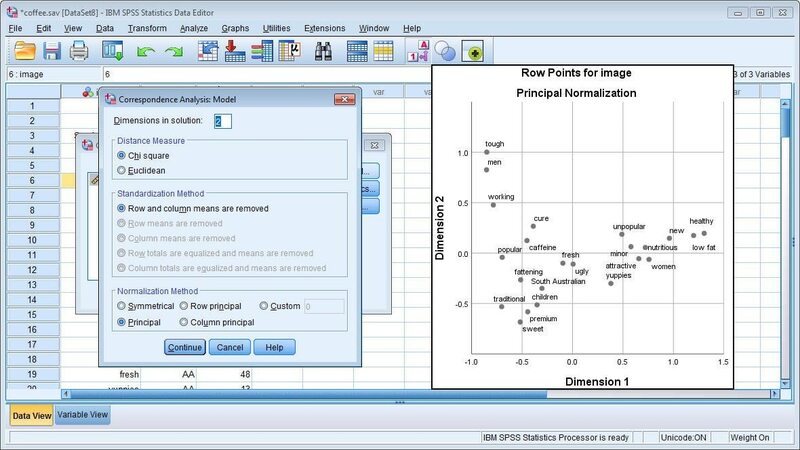 See how to analyze your data and formulate hypotheses while carrying out analytics procedures. Learn how to easily access and manage data, select and perform analyses and share results for improved decision-making. Use your data to identify your best customers, forecast future trends, improve supplier performance – and more.